Eyes come in different sizes, shapes, and colors. We depend on our eyes to find things, to recognize friends, to read a story. Animals depend on their eyes to find food, recognize their families, and understand the world around them. 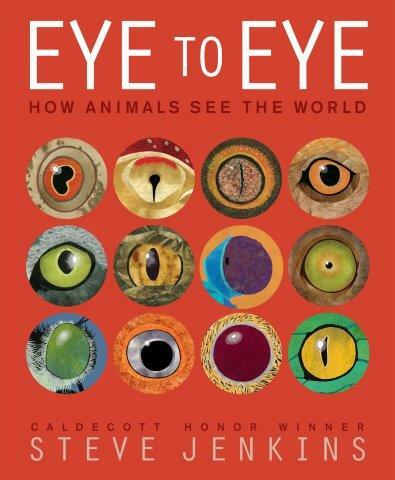 These two books focus on animal eyes. 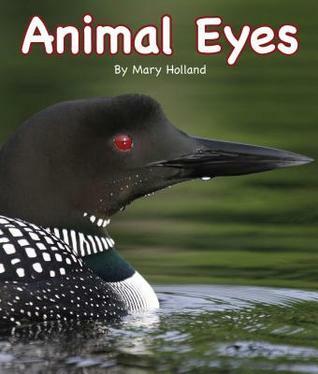 Filled with photos, Mary Holland shows a diversity of animal eyes. She shows the difference between predator eyes and prey eyes. She discusses simple eyes and compound eyes. Her photos include night eyes and day eyes, eyes with special eyelids, and animals with more than two eyes. Back matter includes fun facts and a matching game. Jenkins reinforces the message that we rely on vision to understand the world around us. Most animals do – but what they see may be different than what we see. Between the covers of his book, Jenkins introduces you to animals with more than 100 eyeballs and animals with eyes on the tips of their toes. You discover that some animals can look in two directions at the same time, and meet one creature with eyes the size of a basketball. Jenkins uses realistic cut-and-torn–paper images to show blue eyes, orange eyes, black eyes and gold, eyes on stalks and tops of heads, eyes that see barest shadows and eyes that can see a rabbit from two miles away. At the back there’s a handy explanation on how eyes evolved, and some cool facts about each animal mentioned – plus a glossary . Booktalk: Follow clues and use the scientific method to find out what happens when a meteor comes close to earth. Samantha looked at her friend. “Do you think … ? “It could be a meteorite!” Tomiko jumped up and down at the possibility. Some critters, when it turns cold, burrow beneath the soil to stay warm. But frogs don’t have claws, so they make do with scuffling under a pile of leaves. Leaf piles do help insulate you from the cold, but they don’t keep these frogs from freezing. That’s OK, though, because some of these frogs -wood frog, Cope’s gray tree frog, eastern gray tree frog, spring peepers, and western chorus frog – can survive freezing. When things warm up, they thaw out and hop away. Find out more about frogcicles and catch a video, over at Archimedes Notebook. And if you’re getting cabin fever from being snowed in, why not go on an indoor field trip? More about that – and “book case wildlife” at Archimedes Notebook here. 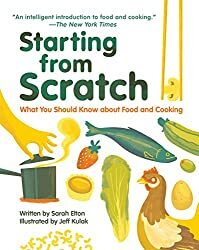 Booktalk: This book is NOT a cookbook, it’s a book about the science of food–how it works, why it works, and what you need to know to make the kitchen your playground. There are all sorts of incredible things that happen to food when we prepare it. We use chemical reactions to transition ingredients from one state to another, such a turning cream into ice cream. We even use little critters like bacteria and yeast to transform what nature has given us into the stuff we put into our mouths. We have been celebrating Arizona this week at Wrapped in Foil blog, and today we have reviews of two books about the special creatures of the Sonoran Desert. 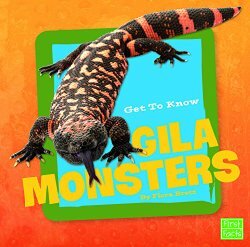 Get to Know Gila Monsters (Get To Know Reptiles) by Flora Brett is an informational text for the youngest reader. It separates the myths from the facts about this unique desert lizard. Although they look fierce and do have a venomous bite, Gila monsters are not the monsters their name suggests. 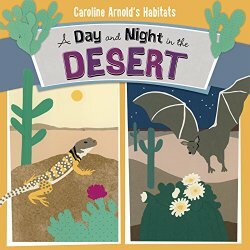 A Day and Night in the Desert by Caroline Arnold brings to light the daily activities of many different animals found in the Sonoran Desert. The text follows the passage of time from 6:00 a.m. one morning until 6:00 a.m. the next day. With the cut-paper collage illustrations and narrative-style text, it will be sure to appeal to readers who say they prefer fiction. Both these texts would be ideal for a unit on desert habitats or desert animals. Get to Know Gila Monsters would be useful for a unit on animals life cycles or reptiles, as well. A Day and Night in the Desert could be used to introduce the concepts of diurnal and nocturnal, and even help the youngest reader learn about time. Check Growing with Science for some activity suggestions to accompany the books. Categories: Science, STEM Friday round-up | Tags: books about desert animals for kids, Caroline Arnold, desert animals | Permalink. 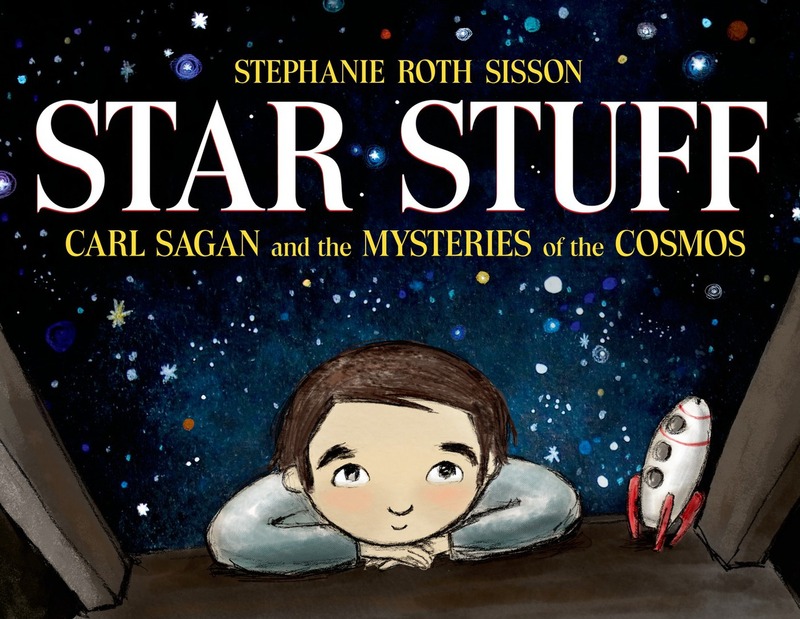 It gave Carl goose bumps to think about what he had learned about the stars, planets, and the beginnings of life. He wanted everyone to understand so that they could feel like a part of the stars as he did. So he went on television. The Earth and every living thing are made of star stuff. Substantial back matter includes Author’s Note, Notes, Bibliography and Sources, Special Thanks, and Source Notes. Copyright © 2015 L.Taylor at Shelf-employed. All Rights Reserved. 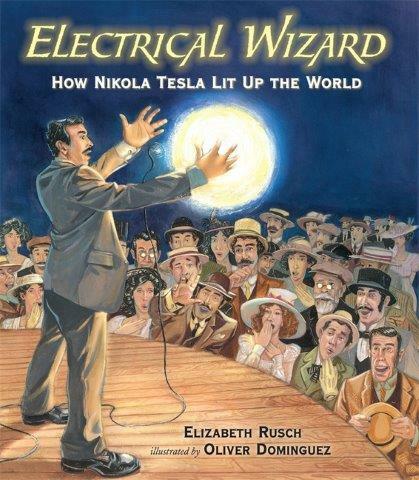 “The night of Nikola Tesla’s birth, lightening zapped, crackled, and flashed overhead.” A pretty fitting beginning for the life of a kid who wanted to harness the power of Niagara Falls and turn it to electricity. As a young man, when electricity was generated by direct current, Tesla wanted to figure out how to use alternating current to run motors. When he figured out how, he traveled to America to meet with Edison. “Nonsense,” said Edison. People liked their direct current; why change something that’s not broken? So Tesla set out to show that alternating current would work, and that it was safe. At the height of the “current war” between Tesla and Edison was the Chicago Worlds Fair – and it was to be powered by electricity. Tesla’s alternating current. But Tesla had even more tricks up his sleeve: developing the turbines and generators that would convert Niagara Falls into electricity to light the homes and streets of Buffalo. Tesla was a man full of ideas: could tides be harnessed to produce electricity? What about the spinning of the planets? Back matter includes further information about the rivalry between Tesla and Edison, explanations about DC and AC current, and how a spinning crank makes electricity.